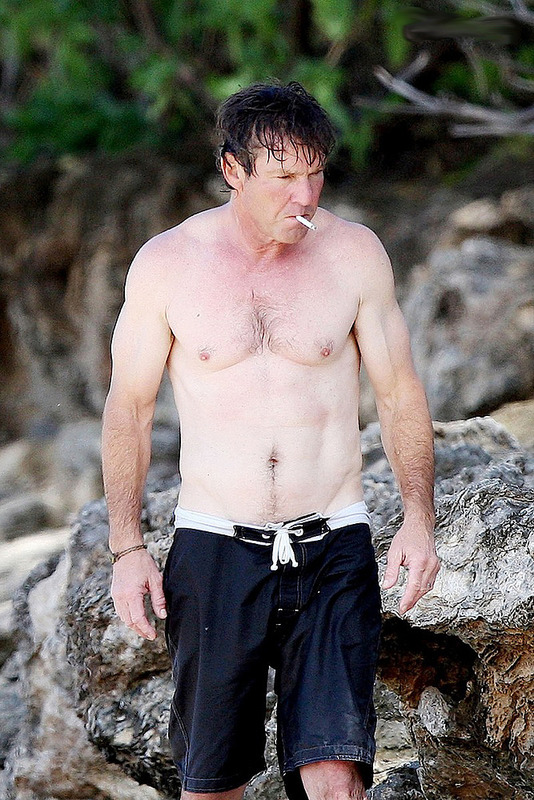 In spite of the fact that the famous American celebrity, hot actor and musician Dennis Quaid is in his late 50s he is still as lively as twenty years ago. This time the Paparazzi caught this handsome man surfing with his friend and sitting somewhere on a sandy beach. Just look at this muscleman: beefy arms, holding the surfing board, six-pack abs, tanned body with streaming down drops of water. A perfect man! If only Dennis could just give up his pernicious habit – smoking!